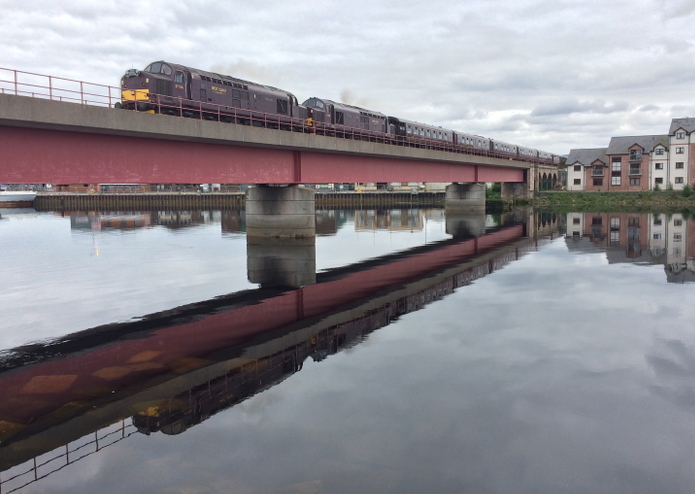 37516 and 37685 crossing Ness Bridge in Inverness, heading from Keith to Kyle of Lochalsh on Day 2 of the Royal Scotsman Classic Tour, 15 June 2014. 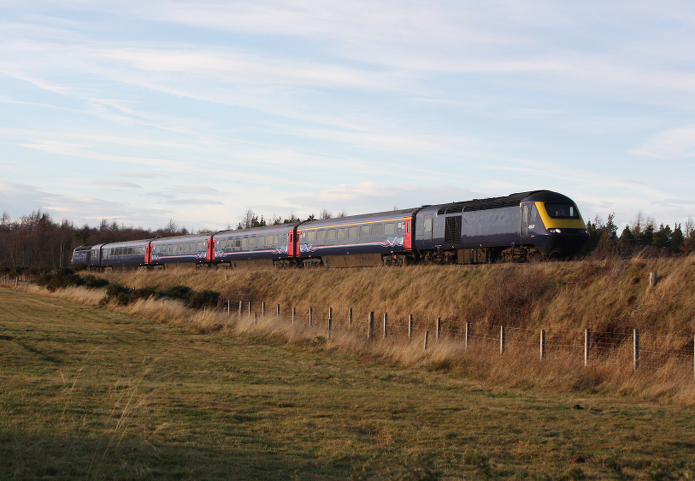 43148 in new livery is leading blue 43003 and striped blue coaches at Aviemore on the 09.44 Inverness-Edinburgh on 10 December. FoFNL members Les Turner [L] and Richard Ardern [R] can be seen on the platforms. 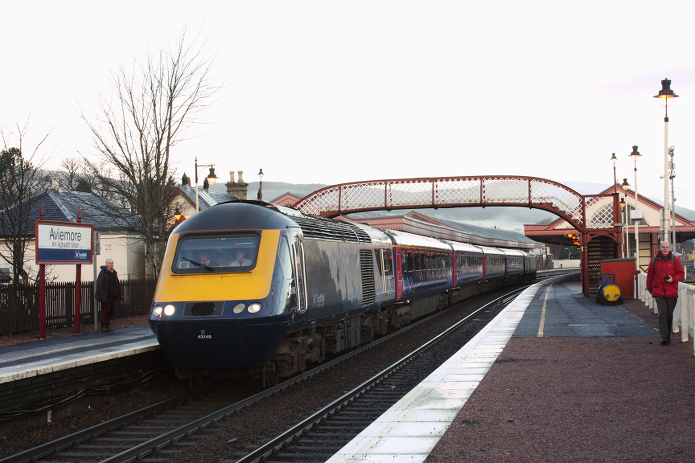 A very mixed set on the 12.55 Inverness-Edinburgh at Feabuie on 2 January 2019. The coaches were lettered A, B, B and D which would really assist passengers trying to find where to sit! 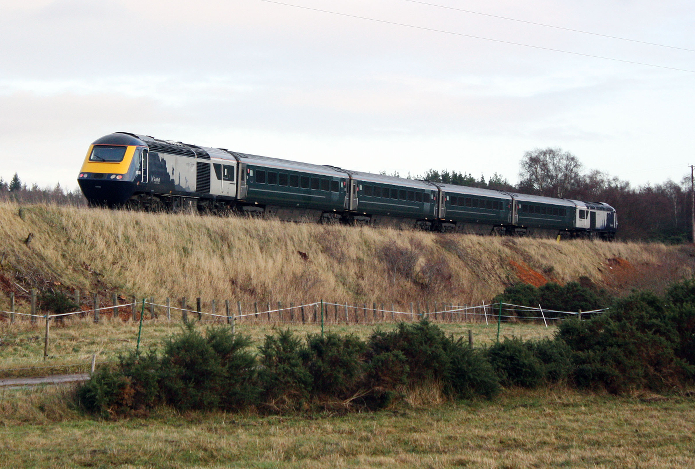 On 9 December the 13:33, the first southbound HST working from Inverness, with 43168 leading 43140, both in new livery with green coaches - yet another combination, also seen at Feabuie.